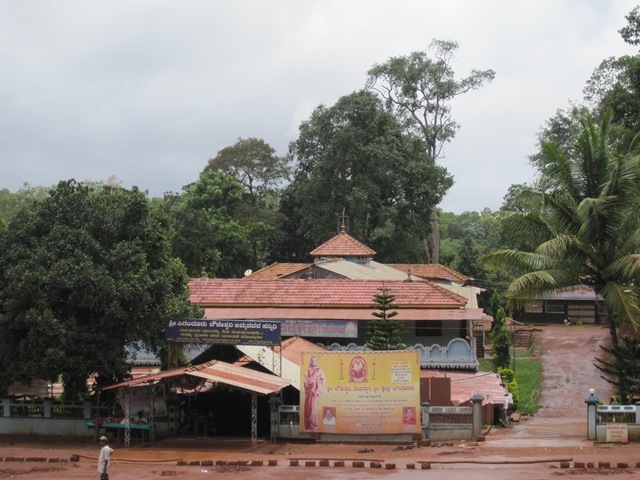 Sigandur is a beautiful place and small village surrounded by green and backwaters of River Sharavathi in Sagar Taluk of Karnataka state.The main attraction of Sigandur is a temple dedicated to the Goddess Chowdeshwari which is called as Sigandur Chowdeshwari Temple. The Sigandur Chowdeshwari Temple is a unique temple and the powerful Goddess is self manifest. Sigandur kshethra is near to Thumari, 42 KM from sagar town. 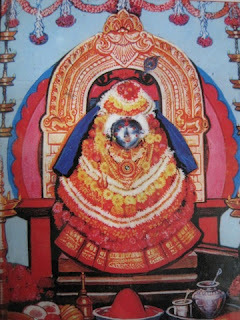 Mother choudeshwari is called as “Sigandureshwari”. Idol of mother sigandureshwari is very old but it found in bank of holy sharavathi river 300 years ago. She bestows peace of mind/prosperity upon devotees by listens to their humble prayers. This place sigandur has around 300 years of history. It has been said that once upon a time a person called Sheshappa went for hunting in Jungles near Sigandur and lost inside the jungles. When he was resting below a tree, mother sigandureshwari came into his dream and asked him to build a temple for her. He went and told his experience to a Brahmin “Duggajja” in his village. Both of them finally built a temple and Duggajja became the priest of the temple and Sheshappa became the Managing Trustee. People who lost their valuable things or who are facing property disputes reaches Sigandur for solution. It has also evident that many of financial and personal issues are being resolving here. It has been believing that the name board from temple with a noticing message “Shri deviya rakshane ide (this means the land is safeguarded by the mother)” which had glued or stuck in front of their disputed land to solves their issue. 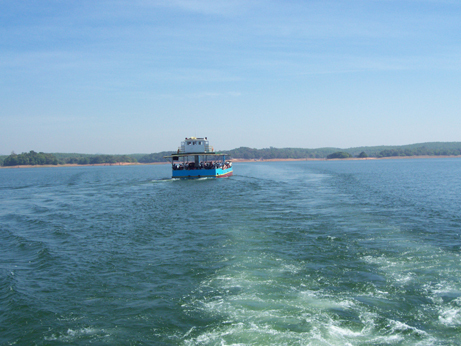 There are two ferry which carry vehicles as well as people from one end of shore to other. It takes around 1 hour 15minutes to reach Sigandur from Sagar from local busses. It is said that Sri Veerabhadra in this Bhootada katte is taking care of Sigandur. Annaual Festival (Jathre) is held on Makara Sankranthi day every year. Devotees from different parts of Karnataka visit Singandur Chowdeshwari Temple during the annual festival. Accommodation is available only at temple premises for limited number of persons only. Since food is not provided by the temple and there are no private hotels, it is recommended that you may need to carry food. there is no evening pooje. 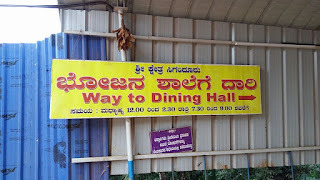 By Bus: There ffrequent busses are available from Sagar (Shimoga district, Karnataka). 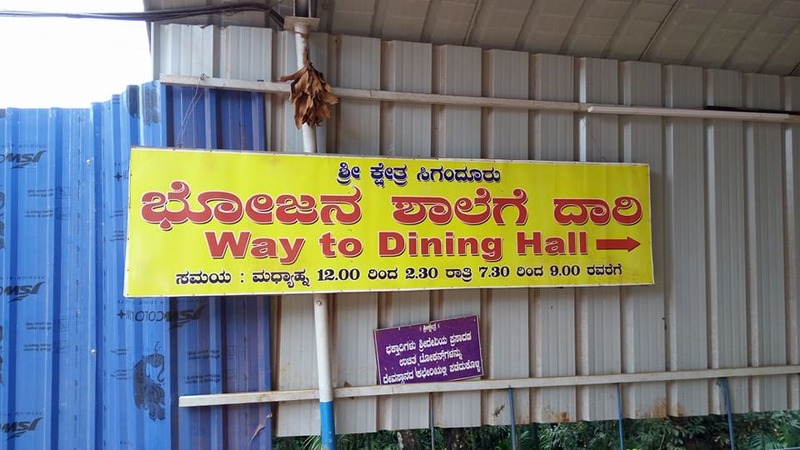 Even there are direct private bus facilitates from Shimoga, Bhatkal to Sigandur. Since the number of buses is less, it is advisable to come in private vehicles. By Road: Sigandur is located in the other side of backwater of river Sharavathi (before Jog falls). Sigandur can be reachable via Sagara. 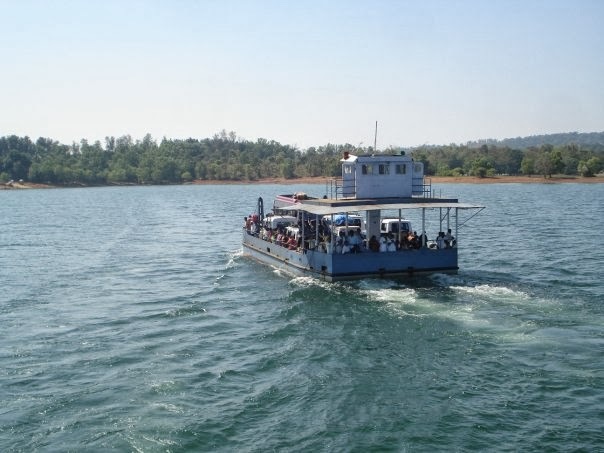 Its is advisable to park vehicle in Holebagilu and cross 2 Km river by Ferry. As Ferry service is available up to 5.00 PM only. The other side of the river is a small village called Kalasavalli. 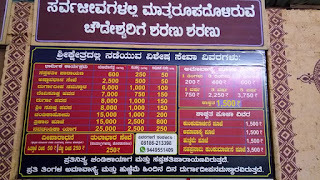 Sigandur is just 10 Km from this place. There is no back water from Kollur which takes a different route of 45Kms. In order to facilitate the devotees many more developmental activities are going on. Everything because of mother Choudeshwari grace. Still many development activities are going on. We traveled from Shivamogga to Sigandur Chowdeshwari temple. Travelling on 206 reached Haranahalli took left arm of bifurcation showing direction to Sigandur without ferry (left being going to Sagar and ferry) and traveled pass Hosanagara and took a deviation to Sigandur a 37 km of gravel and dirt, potholes and finally reached Sigandur. 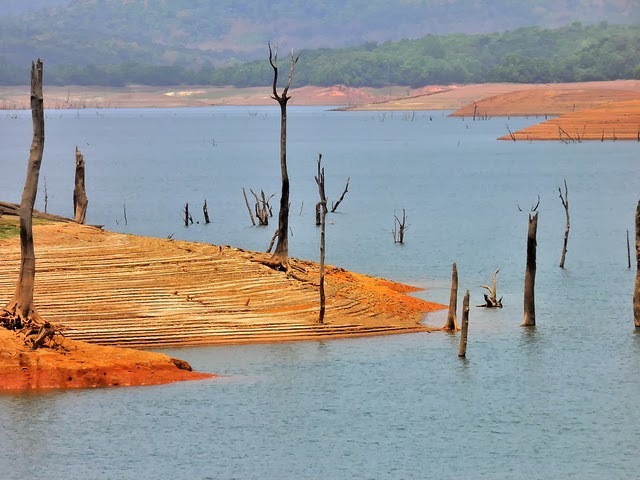 The continuation of the route would take you to Kollur Mookambika. 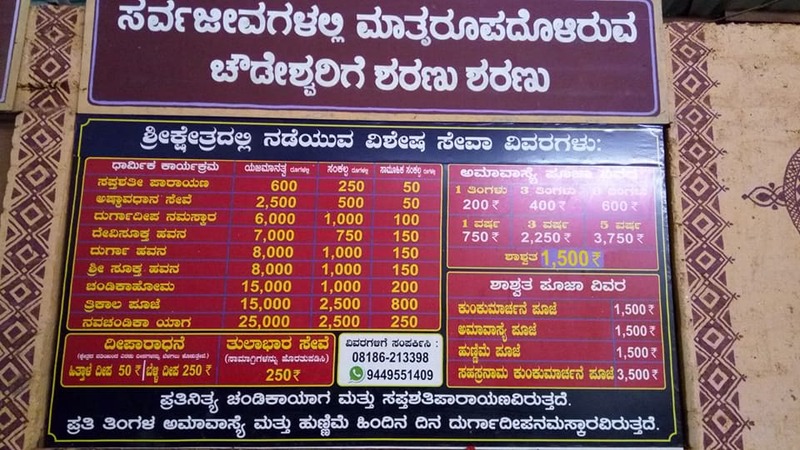 With this extra trouble you should be able to see Mookambika and Sigandur and returned by Ferry through Sagar. Actually we went to Mookabika and returned on the same road and took this bad road to Sigandur. Road to Mookambika is good. Suhas C. Picture Window theme. Powered by Blogger.